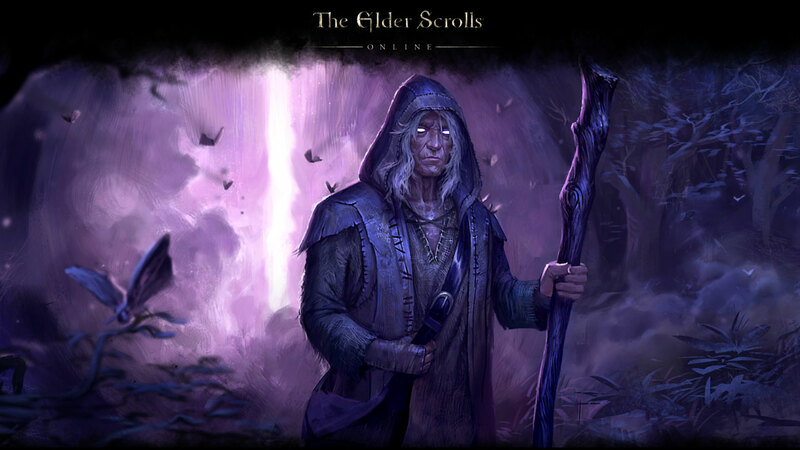 Elder Scrolls Online is a huge gamble; going against the trend of free-to-play games in the MMORPG genre, Elder Scrolls Online brings yet another subscription-based online role-playing game to the market. After my initial peek at Gamescom, I had the opportunity to explore the world of Tamriel rather more extensively. The following is my personal impression of the beta version after around 20 hours in the game. 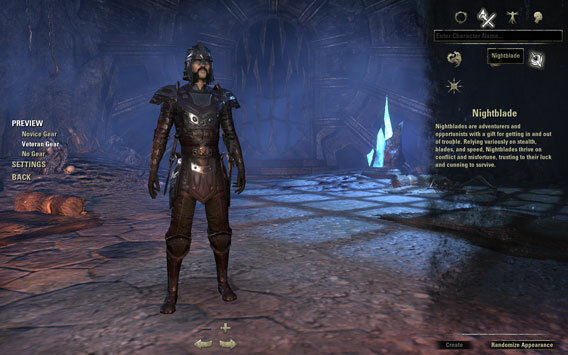 As usual, Elder Scrolls Online begins with the character creator. You choose class, race, gender, and stature. 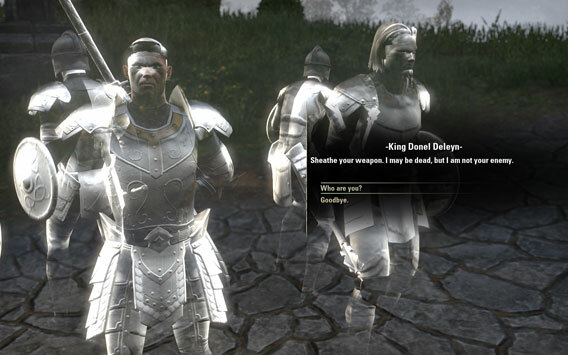 In the final version of the game, the Imperial character class is only available to those who bought the Imperial Edition. The character editor allows you to request the preview in veterans’ clothing. Impatient players can randomly generate a character. Perfectionists can shape their character from head to toe with numerous customization options from hairstyle to shoe size. The figure can be viewed from the start to finish, which is unusual and can be very useful. For example, when considering the momentous question of whether the hair color matches the high-spec suit of armor, to be chosen later. Yet again, I find myself abandoned in a dungeon like other games such as Dishonored and Black Guards. However, what I’m supposed to do is not so clear. Still, I’m glad as the shadowy prophet flickering before me ends its stay in this dingy hole. A glimpse into the past: The story is initially a bit confusing. After the dingy dungeon, the free world opens up for extensive exploration. I am drawn into exotic-looking deserts and lush forest landscapes. Both areas are expansive with tons to do. The environments are very detailed, especially when looking at how the sunlight shines through treetops and how leaves create fine shadows on the ground. Still, the grass could look better. Attractively-designed landscapes belong to Elder Scrolls Online’s attractive side. The little town with its markets, stalls, and shops seem like it comes from a soul-stirring medieval movie – just free of the stink and slurry on the road. Streams and rivers also meander prettily through the countryside. The ground stands out against nicely splashing water, provided you have a sufficiently fast PC or Mac. My diary quickly fills up with tasks wherever my characters meet other characters in the game. Additional tasks often appear at random, without being indicated on the map. 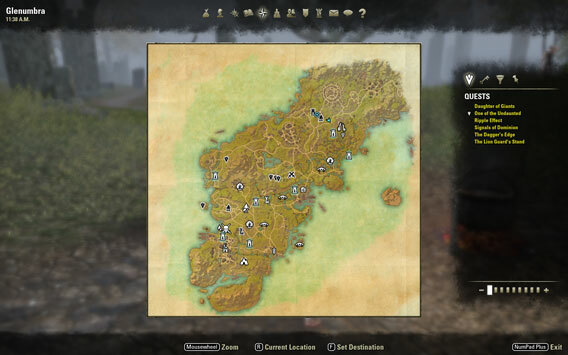 This map shows a small section of the Elder Scrolls Online game environment. Refreshingly, Elder Scrolls Online’s range of initial tasks goes beyond the typical supply and run contracts. Here, there is a lost pig to find, a murder to be solved, or enslaved miners to be freed. After completing well over 50 mostly exciting quests, I have also helped forest druids with their nature element problems, banished and burned zombies, fought werewolves, talked to ghosts and flambéed skeletons. Away from the very safe cities, wolves, and other creatures wait for adventurers. Defeated creatures drop a few gold coins and from time to time, even valuable objects that you can invest or sell. Defeated monsters return astonishingly quickly to the same place, which makes it easier to collect experience, money, and objects, but it does rather cloud the atmosphere. From time to time, boxes in the landscape also wait for a skillful thief with skeleton keys to reveal valuable treasure – unless someone’s got there before you, as happened to me repeatedly. In that case you’ll find nothing but an empty, ransacked box and you’ll have to continue your search. Many orders bring additional tasks after them. Sometimes I find myself holding the course of events in my hands by involving myself in dialogs. The extent to which these decisions have momentous consequences I couldn’t really tell. You don’t always need to go back to the city to sell plundered goods or repair equipment. Tradespeople operating on the main roads see to this. Handy, huh? The transport stations called Wayshrines are also great time savers, which you can jump to directly. However, there is a cost for each trip. When you have the necessary means to buy a horse, you’ll cover larger distances swiftly. You need to visit tradespeople to empty the inventory and to earn some gold that (at first) is swiftly spent – at the beginning repairs cost a pretty penny! In exchange for money, you can expand the inventory, which is initially limited to 50 slots. There’s no weight limit. Stackable items such as potions or food count as one item. Sometimes adventurers take on a particularly dangerous group of monsters, or end city sieges. Such events are somewhat comparable to Fates from Final Fantasy XIV and for the most part require a group for successful completion. Also, certain dungeons can only be overcome with a cleverly assembled group of attackers, defenders, and healers. If there are no friends on the spot, you can search for comrades using the groups tool. You can have small four-person groups or large groups of up to 24 players provided. Players can look for a small four-member or a large 24-member group. The first dungeons in the demo are easy, but the difficulty increases significantly from level ten forward. It’s not always apparent from the quest description that a particular task is intended for a group. However, I learned that lesson pretty quickly. Ground and firetraps ensure some variety in the dungeons. Dungeons are clearly structured. You move through tube-like passages and carry out clearly labeled, predetermined tasks. There are some dungeons with traps and short cuts, but the beginner dungeons are easily navigated. Run to the target, kill enemies, and leave the dungeon. Even the first dungeons in Final Fantasy XIV required a little more thinking and tact. Action or strategy, it’s a matter of your own tastes. During the beta I had the impression that Elder Scrolls Online places more emphasis on exploring the surroundings than on dungeon exploration. The further you move away from the starting area, the stronger the opponents. 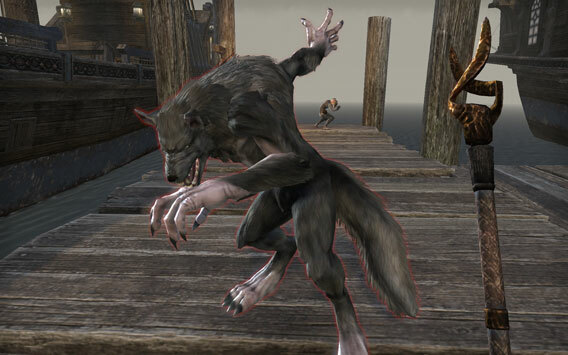 Elder Scrolls Online follows this common MMORPG practice. 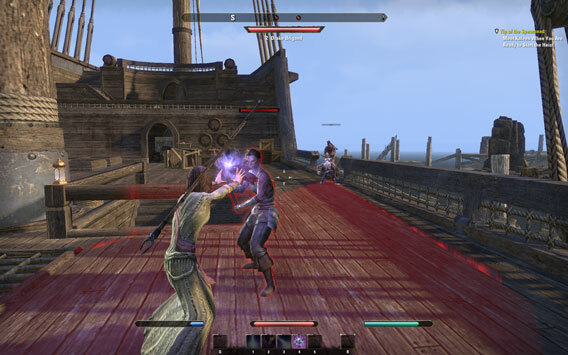 Provided that developer Zenimax Online find no antidote, development should be the same as for most games of this type: first besieging the player with low levels in this starting area; then, as the game progresses, this area develops into a deserted ghost zone. Later on, high level end zones prove to be overcrowded. Role-players want more than just fighting; I am no different. 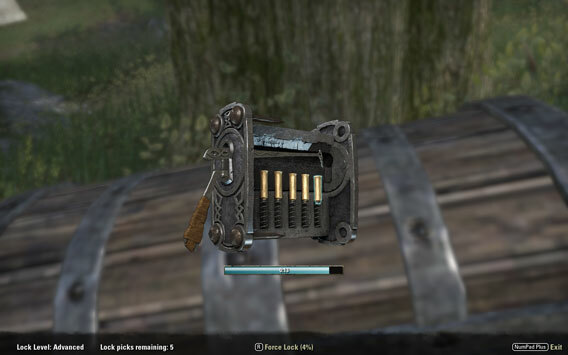 During a break between dungeons or raids, it can sometimes be quite relaxing to cast out your fishing rod or to build a suit of armor, which is nice since Elder Scrolls Online supports crafting. The Crafting formula is similarly straightforward as in Skyrim: collect the required ingredients and use a stationary tool such as an anvil or a saucepan to craft. It works in a similar way for fishing. At designated areas you can grab a fishing rod, bait the line and get going. It’s not possible to manufacture your own crafting tools and get started at any given point as in Final Fantasy XIV. Another difference are the recipes that, for the time being, you can get hold of in Elder Scrolls Online, and which are not automatically released as you gain in experience. You can interact with other players; invite them to a group or to swap via a circular menu. Weapons can be upgraded with magical powers by finding matching objects and right-clicking on the weapon. If a friend has the necessary ingredients you can theoretically swap with him. However, in the beta the exchange was still not working. Elder Scrolls Online is based on specialized classes. At the beginning when you create the character, you also determine his or her combat specifications. Of course it’s possible to swing any weapon and train with it. You can also create any kind of armor. But the special powerful skills cannot be retrofitted. Nevertheless, you have some freedom through this combat system that’ll be familiar from Skyrim. If, for example, you train with long swords as well as with the bow, from level 15 you can alternate between the two weapons and respond flexibly to close and long range combat situations. There is the problem of choice and the distribution of skills in the action bar is most definitely restricted. I had to limit myself to five skills. There’s also a particularly powerful attack that you can use rarely and that can be recharged using slain enemies. Mages, in particular, struggle with choosing their skills. This applies all the more if they want to use offensive and healing spells. At least you can merge skills after some training. This way you link not existing skills, but rather you add new features or make existing skills stronger. That makes some weaker skills dispensable and makes for a cleanup of the action bar. Not all ghosts are hostile towards the players in Elder Scrolls Online. As in Skyrim, experience points are collected for slaying enemies and completing quests, which eventually lead to the next level. You earn points that can be put into health, stamina, and Mana as well as new skills. In addition, the player improves his fighting skills by using spells, weapons, and equipment. The fight itself is clearly different from most role-playing games. You mark no enemies and perform an action, as is the case with World of Warcraft or Final Fantasy XIV. Instead, the camera is directed either from a first-person perspective or Tracker at the opponent, aiming with the crosshair and launching an attack. These can be basic attacks using the left mouse button or special skills. Skills consume Mana or stamina and can therefore be of only limited use. 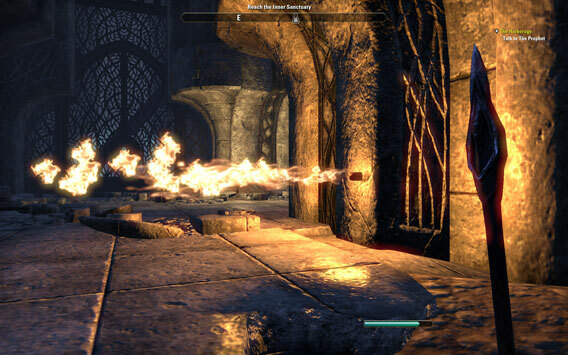 Range attacks are highlighted in red in Elder Scrolls Online. You can block enemy attacks with the right mouse button. With a good block, you inflict damage on your attacker and he’s briefly incapacitated. Some attacks are aimed not at one person, but at an area. Red circles or areas mark the impact zone from which you should withdraw quickly. Some classes also allow you to conjure up associates. These companions assist the player in combat by distracting enemies or even causing a bit of damage themselves. Companions are very useful in combat. Unlike World of Warcraft, Final Fantasy XIV and Guild Wars 2, Elder Scrolls Online is awarded a relatively ESRB rating. In Germany and Europe, the game is released to players of 16 and above, while most competing games have a rating of 12 and over. It’s difficult to assess why this is. 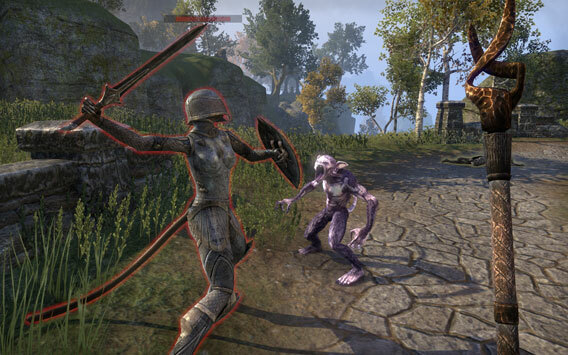 Elder Scrolls Online doesn’t really seem any more violent or permissive than the competition. The story is a bit darker and the characters lack the cuteness of World of Warcraft and even more so of Final Fantasy XIV. The characters scowl a bit more fiercely. Emotions aren’t anchored anywhere in the menus. Consequently, absent from the demos are the usual scenes of players hugging and poking each other and showing off. Those who know or have tried out the relevant text commands such as wave, cheer ,or laugh can make their characters wave and cheer. Skyrim regular players have taken exception to the monotonous layout of the dungeons. 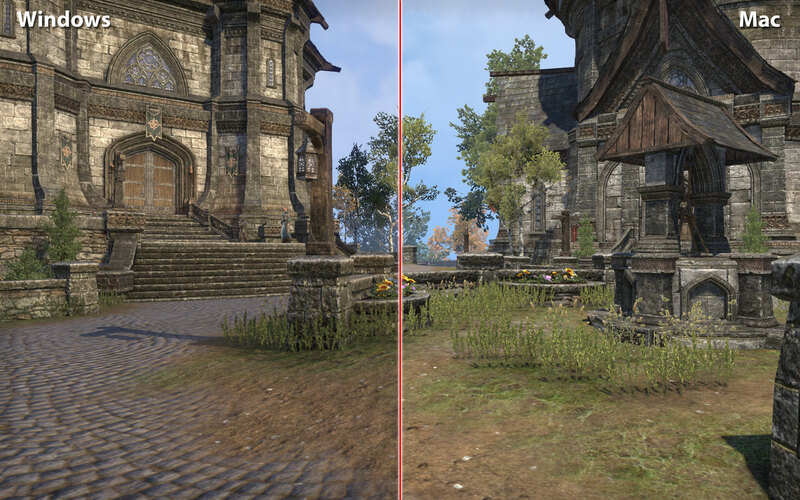 Here, Elder Scrolls Online offers quite a change and makes the hovels seem more varied through different lighting, smoke and textures. Even better is the array of highly detailed villages and landscapes. Even the characters bear closer inspection. Less convincing, however, are the animations, so it’s best not to switch your character to the pursuer’s view. When comparing Windows and Mac no significant differences in beta could be observed at the highest level of detail. However, you should have a particularly speedy Mac to make smooth movements out of the pretty pictures. I really liked the background music. Throughout the entire game, high quality music can be heard in every area, which fits well with the atmosphere of the game. This is a refreshing change from Final Fantasy XIV, where music does not play at all in certain areas. In addition, there is a complete soundtrack of dialog. Even in small quests the NPCs are supported with spoken text. Such a density is only known from Star Wars The Old Republic. The quality of the voice acting is very high. Only a mega server for (almost) all players! Before starting Elder Scrolls Online for the first time, you are immediately struck by something – there’s only one server. There’s no need to choose between dozens of realms such as BlackRock, Darkspear or Dath’Remar in World of Warcraft or between fine-sounding servers like Balmung, Excalibur, Gilgamesh or many other in Final Fantasy XIV. Zenimax Online calls this concept the megaserver. The good thing about the megaserver is that it connects friends instead of separating them. When it comes to the social fabric in an online role-playing game, this is a significant advantage. Windows and Mac gamers share a server while console gamers from Playstation 4 and Xbox One each get their own server. 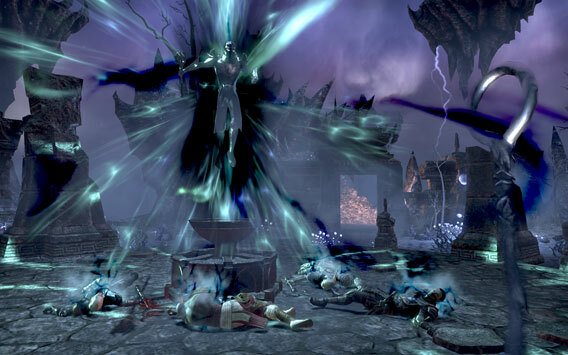 In addition, Zenimax Online plans regional servers for the U.S. and Europe in order to reduce connection and latency issues. Elder Scrolls Online feels like a slimmed-down version of Skyrim – grown up and mature, but somewhat heartless and unloving. The combat system is similar to Skyrim, but is greatly simplified by restricting the skills. In the long run, this can lead to boredom, if tactical finesse in multiplayer doesn’t provide a certain balance. There’s still no prognosis on this due to the short time I had with the game. In direct comparison to the online role-playing competition this combat system provides a refreshing change. The same is true for the focus on just one (mega) server, on which all players meet. How resilient are the megaservers in regular operation? Even after some months, Final Fantasy XIV is still showing weaknesses and torments players with lag and a poorly tuned combat system that doesn’t cope well with latency issues. How balanced is the combat system? A good combat system in an online role-playing game needs to be well balanced to forgive any fluctuations in latency. This is a crucial point, which can only be tested under real conditions. Is the player-versus-player mode (PvP) well balanced and does it blend meaningfully into the game? This is a question that we may be able to answer next week following the next beta test. 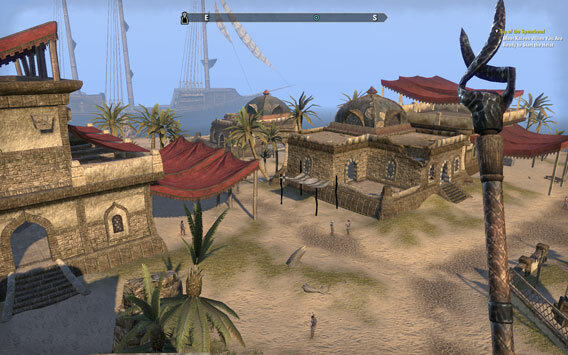 Elder Scrolls Online will be released on April 4, 2014 for Windows and Mac. The console versions for Xbox and Playstation 4 One will follow in June 2014. Alternatives to Elder Scrolls Online: World of Warcraft, Final Fantasy XIV, Star Wars The Old Republic, Guild Wars 2.